Today I cycled 22.2 miles on my Schwinn 170. I have now surpassed the 11,200 mile point, actually 11,203.4 or 18,030.2 kilometers. Now I have only 109 miles remaining to my next 5th goal and destination. And my desktop is back from the shop…and it is running like a trooper. My own rule of thumb – PC tune-up at about every six months. Makes sure that it is operating to my expectations and it gets a complete tune-up, dusting, and a intensive virus check that eliminates all those viruses, Trojans, and worms that are never caught with the store-bought and downloaded anti-virus packages. 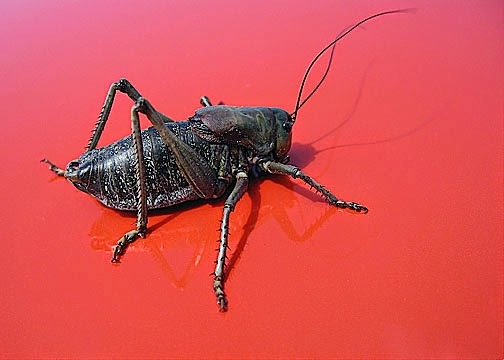 Nevada and Colorado is now seeing the comeback of Mormon crickets which really aren’t crickets but Katydids that thrive in drought conditions. Well Florida has its Lovebugs while Nevada and Colorado has their Mormon Katydids. Anyone think about Marabunta? All 32 strips for our Le Ruban quilt and wall hanging have been completed. Now starts the task of joining the strips together. 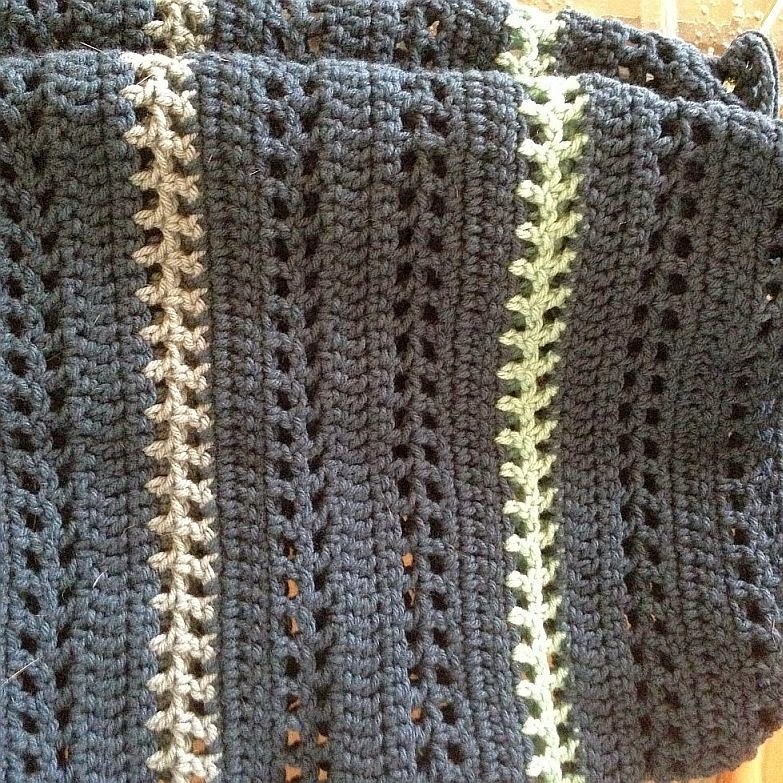 Our Afghan #6 has currently increased to a length of 21”. Go-ahead has been acknowledged for us to work the design for the quilting for our new Equality quilt. And having my desktop back in house I can now develop the pattern to transfer to a one-off stencil that we can use. 42,951 pageviews now recorded for Jim’s Trek. And yes I am proud of who I am. Period. This morning I pedaled another 20.9 miles on my Schwinn 170. This is now my 550th day of pedalling. And I have cycle a total of 11,181.2 miles; 17,994.4 kilometers. I have also completed 44.9% of my ultimate goal. This is the real part. 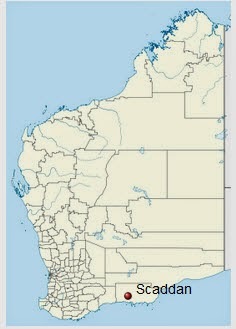 And the virtual part has me located on National Route 1 in Western Australia. I have now travelled 2,564.1 miles in Australia as a part of my Jim’s Trek III. 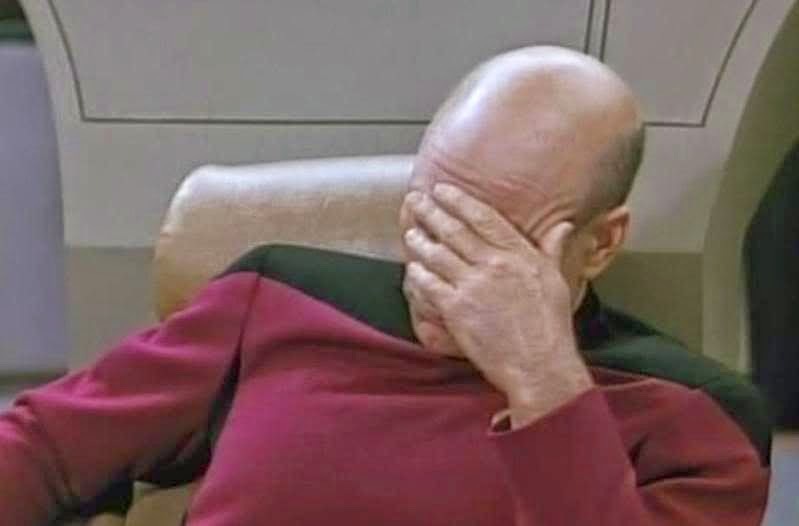 Political candidates will stoop to the lowest of lows or, and in most cases, they are just plain bloody stupid. GOP candidate Timothy Ray Murray according to The Washington Post and Huffington News, only received 5.2 percent of the vote. “Murray is taking his loss, well, oddly. He's contesting the election results on the grounds that Lucas (Frank D. Lucas) is dead and has been replaced by a body double.” My dumbfoundedness relates to who are the 5.2% who actually voted for Murray? And wasn’t there a movie about a POTUS double? Oh yeah, Dave, 1993. Work continues on our new Le Ruban quilt and wall hanging. 27 strips have been completed. Only 5 more to go. 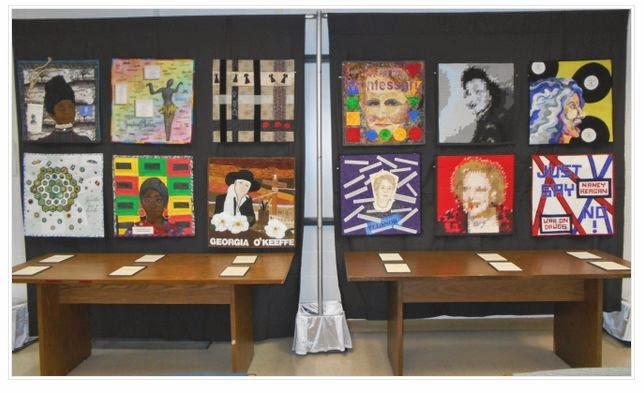 Our two Betty Whites are on display this weekend as a part of the Notable Women Quilt Initiative this weekend at the Mountain Stars Quilt Show in Medford Oregon. 42,852 pageviews now recorded for Jim’s Trek. This morning I opened the house and I cycled another 22.2 miles on my Schwinn 170. It’s going to be a hot day. Nice thing is that the humidity has not yet caused the tile floor to become sticky and wet. That’s just around the corner. Today the humidity is only 61% and it feels like 94० F.
Only 839.7 more togo to reach my 12,000-mile mark. I am right now on National Route 1 in Western Australia and I should reach my next destination and goal point in about a week. 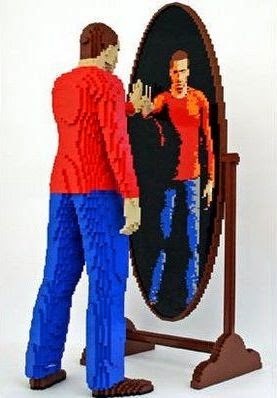 I certainly hope that the scenery will change in my virtual Trek. My Blood sugar, and almost one year without any diabetes medications, recorded this morning in at 93. Great thing about designing my own pattern is that when I make what appears to be a mistake I can just adapt the design to compensate for what is no longer a mistake. Definitely half-full. The 4th color has been added to our new crocheted Afghan #6. One-third of the top design has been completed. 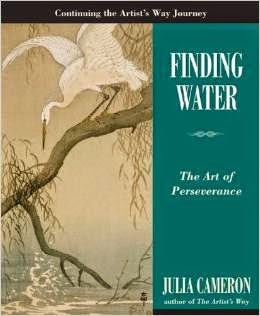 I have two more chapters remaining in Julia Cameron’s third book, Finding Water, from her The Artist Way series. I have to find a new follow-up. Anyone have any suggestion? "Blue jean baby, L.A. lady, seamstress for the band. Pretty eyed, pirate smile, you'll marry a music man. Ballerina, you must have seen her dancing in the sand..." Los Angeles' full name is "El Pueblo de Nuestra Senora la Reina de los Angeles de Porciuncula" Question - so why is L.A. abbreviated to refer to “los Angeles”, the Angels? 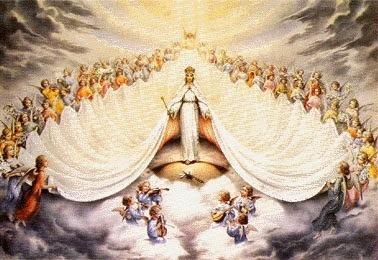 What happened to “Nuestra Senora la Reina"? My PC returns on Monday. Yes one of the thing-a-ma-jigs inside broke down. Lasted about four years. Did not lose a single file of data, but it had been running slower than expected. It should now “walk on water”, metaphorically speaking. Today has been a busy day. Yes I wrote my morning pages...and yes, I pedaled my Schwinn 170. I cycled 22.0 miles. 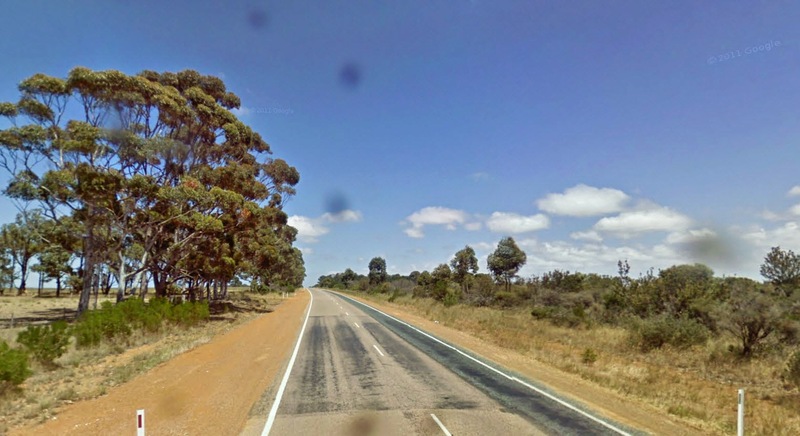 On my virtual Trek I am located on the South Coast Highway and National Route 1 in Western Australia. And I am now 174 miles from my next destination goal. All-things-being-equal I have completed about 25% of Jim’s Trek here in Australia. Flash News - Crowning Catastrophe...and typically only in Florida. Tipper Gore would like to know, is there anyone in the Sunshine State who can count votes correctly? Miss Florida last week is no more. 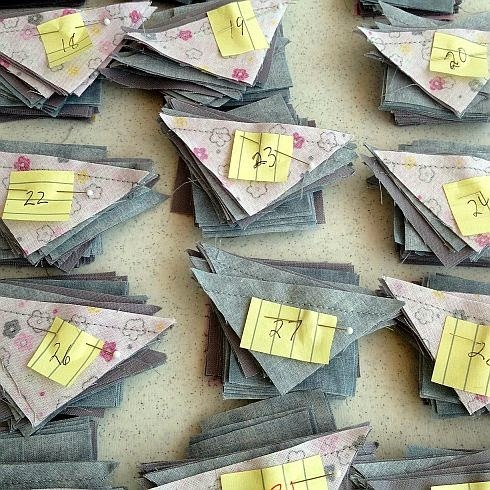 The organization miscounted and reported incorrectly. Does this sound familiar? And I acted out my fantasy of appearing on the set of Ghostbusters as I pressure washed the struts of the cage over the pool and deck. Max definitely did not like the sound or the water of the spray. My blood sugar is down again and registered this morning at 90. This morning I cycled 22.4 miles on my Schwinn 170. Miles to date now 11,116.1; 17,889.7 kilometers. I am now located somewhere on the South Coast Highway and still in Western Australia. This time Google maps surprised me with no trees. 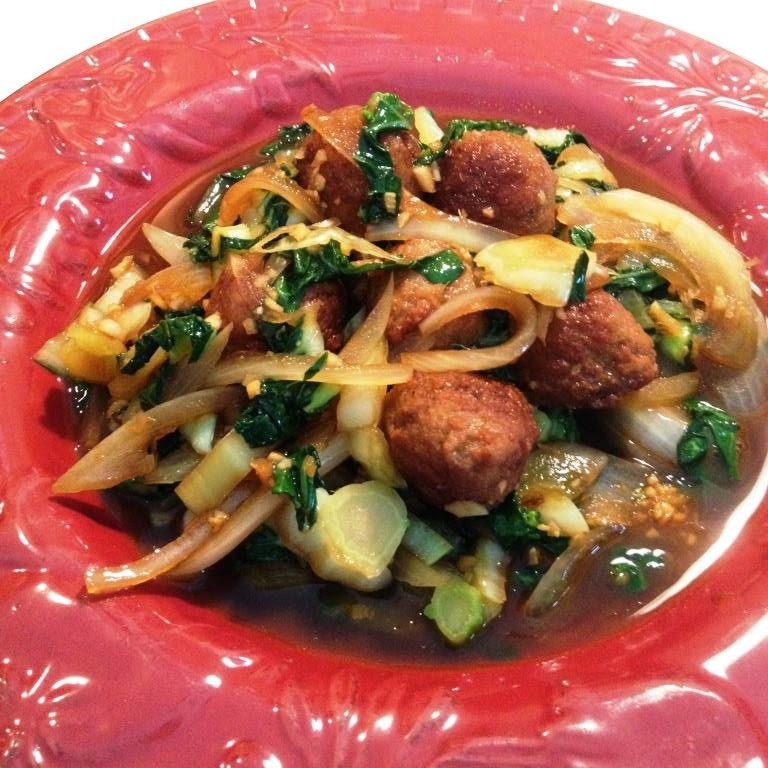 Well I tried the Filipino recipe last night for supper - Repolyo Guisado - Sautéed Cabbage. 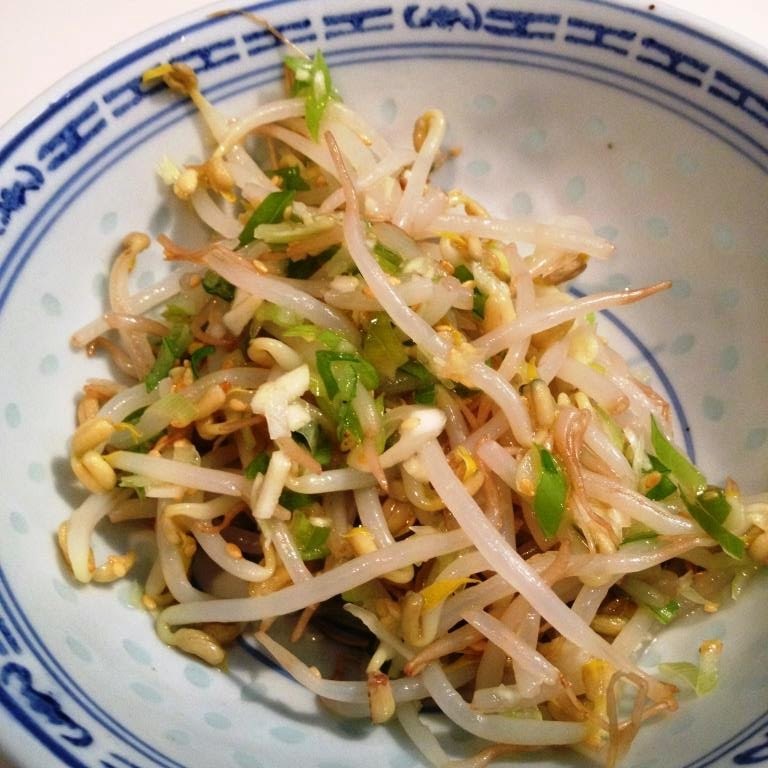 Ingredients quite simple: Pork, Shrimp, Cabbage, Garlic, Tomato, Onion, Chicken Broth, Fish Sauce, Vegetable Oil, and Pepper. (Cabbage and tomatoes fresh from Urban Oasis.) I served the Repolyo Guisado with some brown Jasmine rice...and I would definitely repeat this again. Oh and yeah, apart from having a double helping my blood sugar count dropped another 2 points to 97. I was asked about my weight and how it has changed due to this crazy Trek. I have lost a grand total of 4.9 lbs since I began on 2 December 2012. Not much, but I am still holding at a loss of 12 inches at my waist. 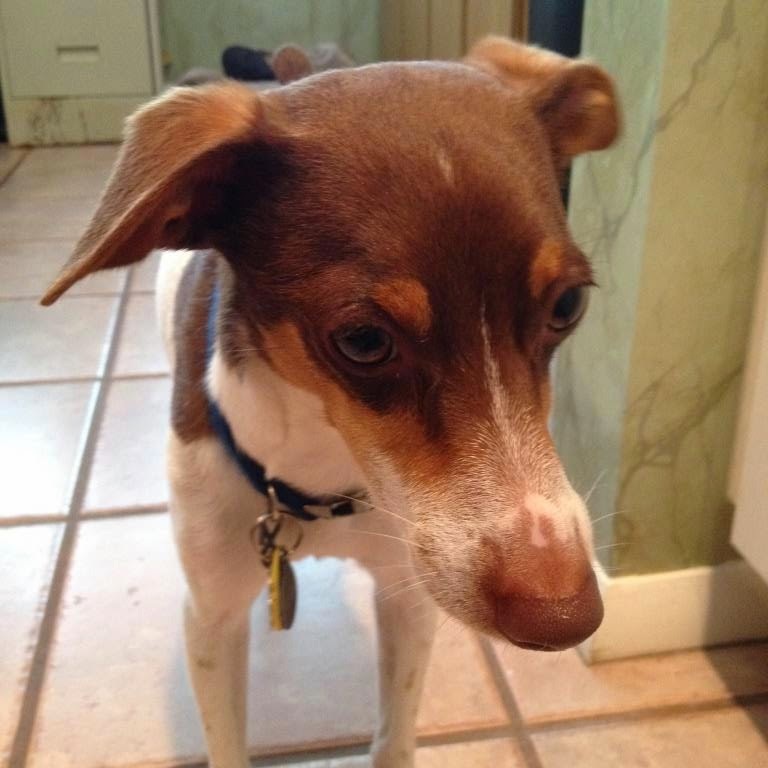 Pageviews for Jim's Trek now total 42,554. This morning I struggled to get on my Schwinn 170. And the pedalling began slowly, and seemed to take forever. I cycled 21.9 miles. I am currently located on South Coast Highway, in Munglinup in Western Australia. 219 more miles to my next destination and goal point. I have finished 2,476.6 miles on the third part of my journey. Gonna try a Filipino recipe tonight - Repolyo Guisado - Sautéed Cabbage. It includes pork and maybe some shrimp. Question - If I first completed, with some sort of struggling, my pedalling. I then checked the Physical Cycle of my biorhythms and discovered that my chart cycle is at the lowest point. (It could not get any lower than minus-100%.) 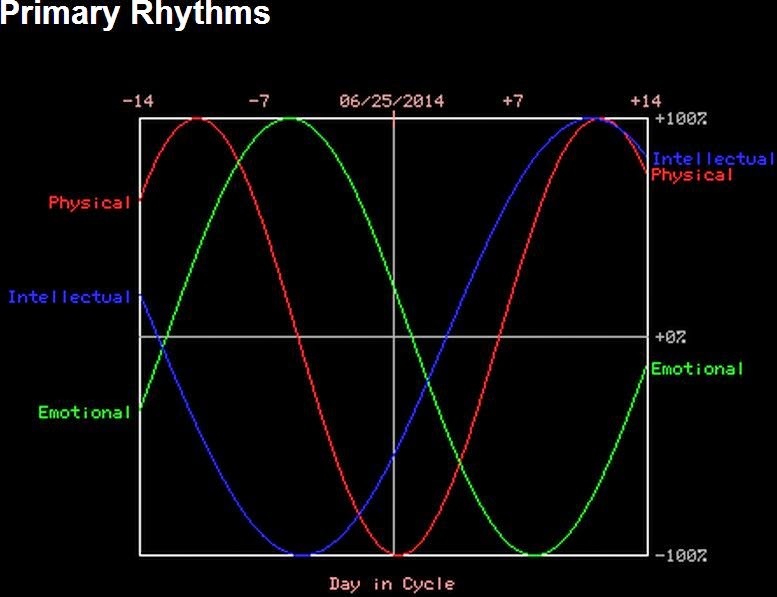 The biorhythm credo is to avoid specific and cycle-related activity if the chart is at a low. Is this forecasting or foretelling? The organization of pieces for our new quilt Le Ruban is done. 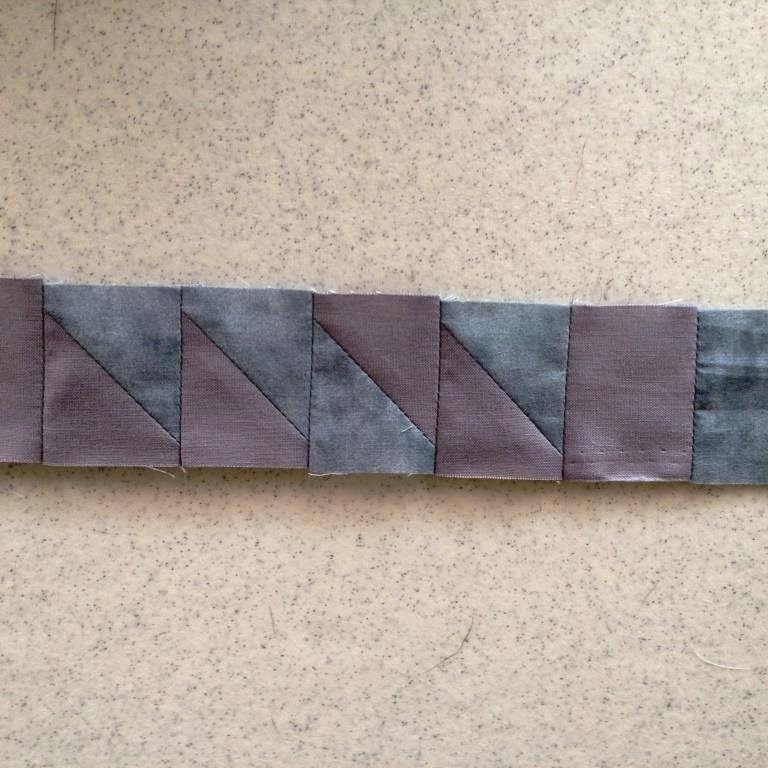 We have been requested to work on a new king-size quilt, N-4. The fabric has been presented and the design is underway. Afghan #6 continues to grow in size. We have to wait until the air-conditioning is turned on before any work is continued. Day 115 – (AD 545) – Jim's Trek Part III – 21.8 Miles – And You Didn’t Think I was in Western Australia on My Schwinn 170? This morning I pedaled 21.8 miles on my Schwinn 170. Total miles - 11,071.8. Damn, there is someone else using the road, South Coast Highway. 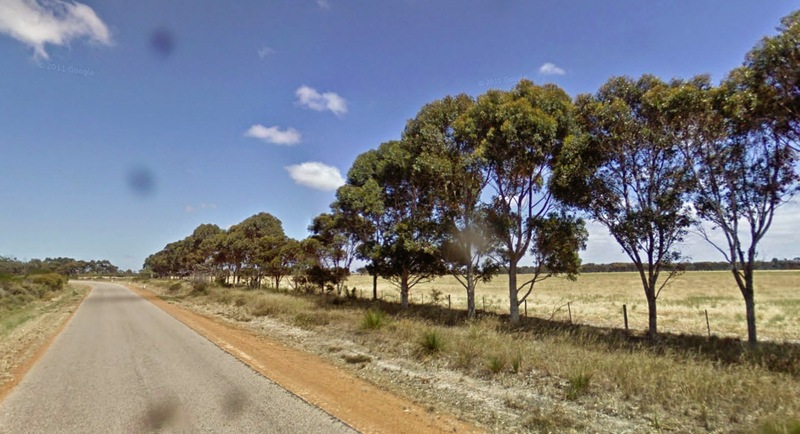 On my virtual Trek I am now east of the Town Ravensthorpe in Western Australia, population of about 450. And today I do not have my regular desktop PC, I am using the notebook. Habits are definitely hard to break and I do like/prefer my desktop. I was wondering if I wrote this Trek journal the old “long-hand” way whether I would have kept up with the pedalling on my Schwinn 170. Interesting thought. My desktop is in the shop for a routine check-up and upgrade. I have been a strong proponent of always having, since I know nothing at all about PC hardware, a regular a routine check-up. 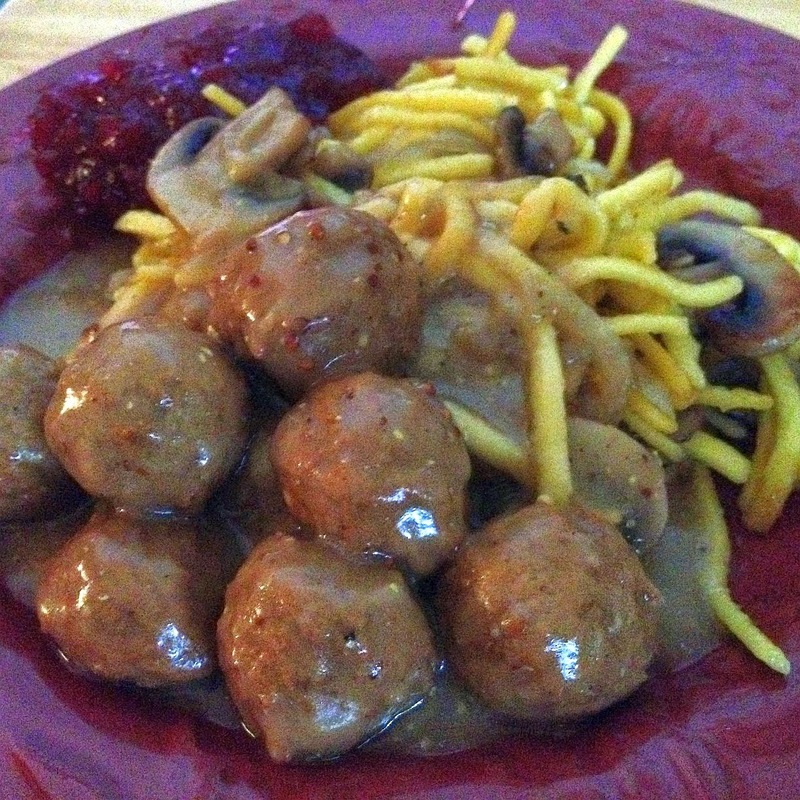 Chocolate, chocolate, and chocolate, and meatballs on spaetzle in mustard gravy with Lingonberry jam and chocolate with more chocolate. Yes my blood sugar is up this morning, up 11 points to 110. And yes it will soon be one year since I stopped taking any diabetes medications. Oh my A1c is still below 6.0. Three major Christian denominations have made more news. One, excommunication for speaking out. The second says no way to following major lines of crime. And the third for opening their arms and hearts and putting out the welcome mat. And somewhere over there in the sand one of two divisions of another religion is slaughtering the other. Let me get this straight, one god, five interpretations... Just my quick thoughts of letting my people go. Hey, national and international news... as does UFO sightings. Be healthy and enjoy... chocolate. Early this morning I pedalled another 21.8 miles. My total miles as of today on my Schwinn 150 and 170 is 11,050.0. I am now on my way to my next destination and 5th goal point on my Jim's Trek III. I am currently east of the locality of Coomalbidgup. To date have traveled on my virtual Australia trek I have pedaled 2,432.9 miles. And Max is wondering where my PC has gone. Six month check-up and upgrade. 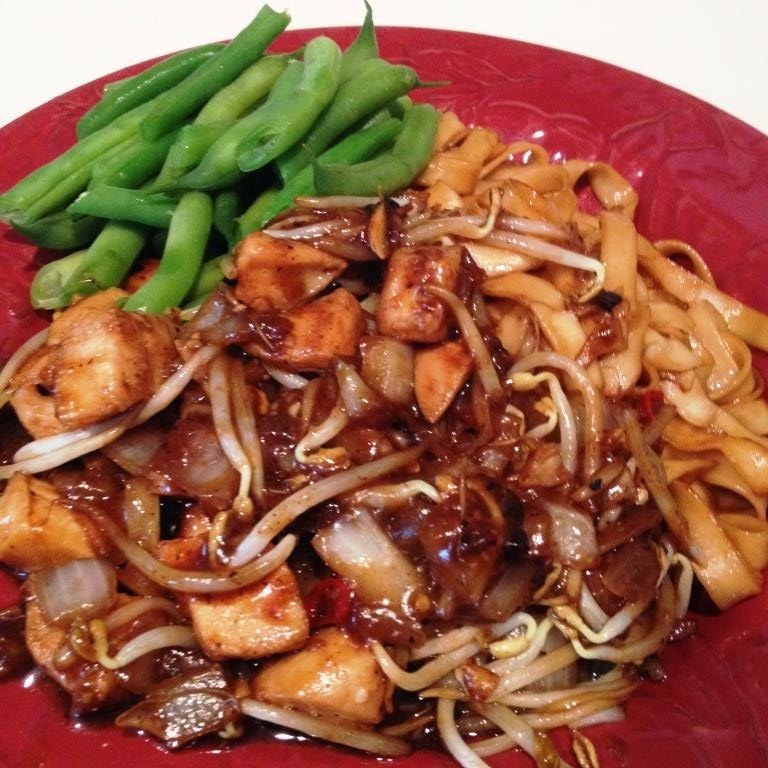 Last night's supper Mongolian Chicken with noodles, green bean in Five Spice broth. Jim’s Trek – 42,235 pageviews. This morning I cycled 21.7 miles on my Schwinn 170. I have now pedaled a total of 2,411.1 miles in Part III of my Trek. Today I turned onto the Gibson-Dalyup Road on my virtual Trek. The direction is to the west, and somewhat southerly. Finally a change of scenery... sort of. I am still 284 miles to my next destination and goal. It is no wonder that obesity and diabetes are an issue in North America. 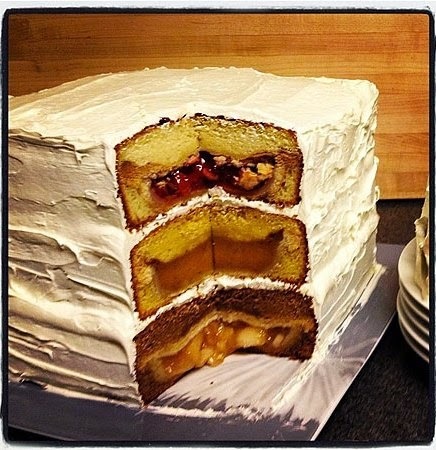 Cherpumple for your Turducken… A monstrosity of a cake; three layers…an entire three pies baked in three different layers of cake all stacked and then frosted. Hell, your serving is three slices of pie in three portions of cake. Seriously. 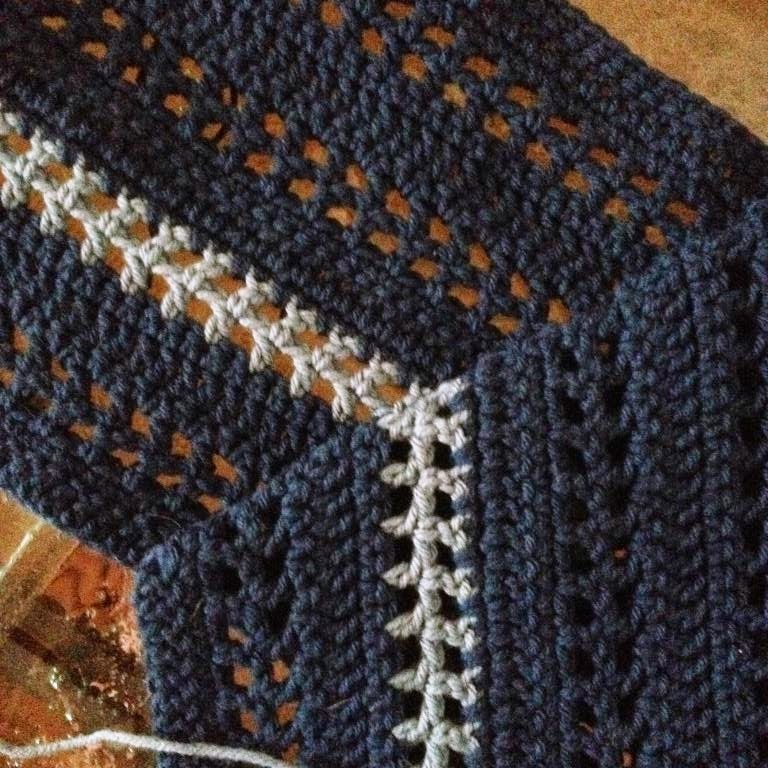 The design of Afghan #6 is beginning to take shape. 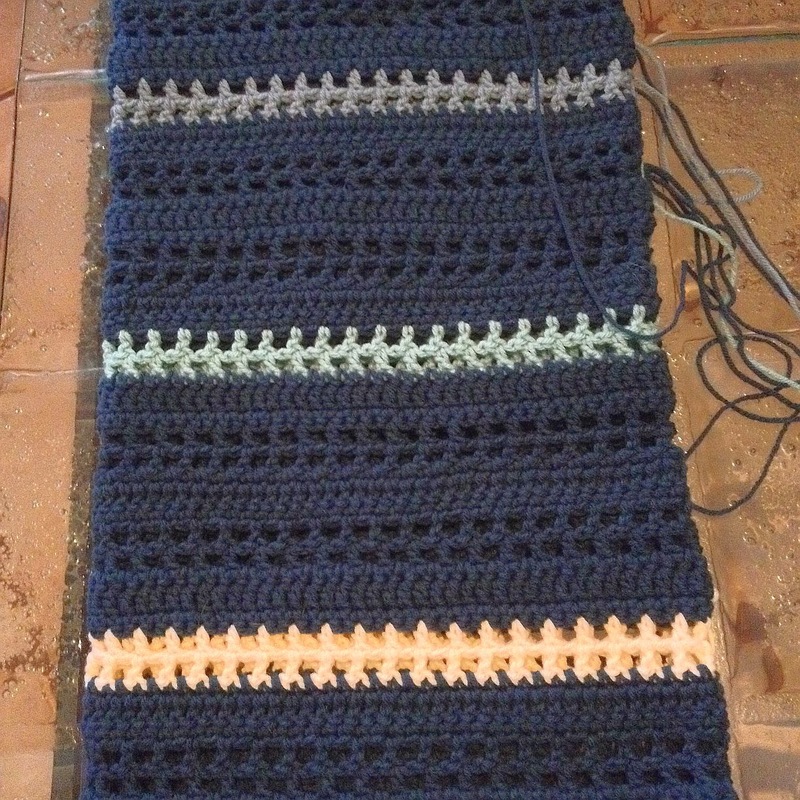 Afghan #5 is still in process as the 120 blocks are being connected. Le Ruban our new quilt and wall hanging is underway. All pieces for the center of the top have been cut. We are working on a completely new design for the quilting of our completed Jacob’s Ladder quilt top, should prove interesting. Also we are progressing with the stencil work for the quilt design for our Equality quilt. Jim’s Trek has now scored 42,125 pageviews. This morning I was not going to cycle on my Schwinn 170. Yesterday while pressure-washing the boardwalk I slipped with the hose, and me, your typical clumsy klutz, sheared off some layers of skin from my baby toe on my right foot. 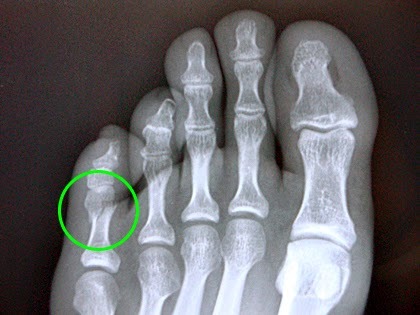 Yes but no it does not really hurt…and no I will not gross you out with any images, and my toe is not broken. Enough said. And then I did get on my Schwinn 170 and without any constriction from the foot pedal I cycled 22.1 miles. I have now reached 11,006 ½ miles, 17,713.3 kilometers. This morning on my Trek I cycled through the towns of Grass Patch and Scaddan. 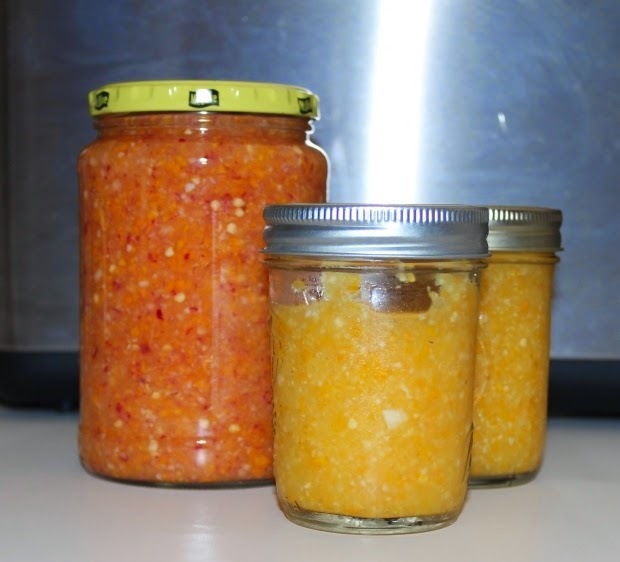 New batch of Red Scotch Bonnet Relish concocted; Scotch Bonnets (about 2 dozen), 2 large cloves of garlic, I red onion, 1 yellow onion, 1 tablespoon of salt, 1 tablespoon of sugar, ½ cup of vinegar. All blended in my food processor…and my lips are burning. The purple red of the red onion created the orange color. Check out Jim's Gotta Eat. Jim’s Trek tally 42,035 pageviews. On my 111st day of Jim's Trek Part III I cycled 22.0 miles on my Schwinn 170. I am just around the corner from 11,000 miles. I am currently located, still heading south, on the Collgardie-Esperance Highway on my virtual trek through Western Australia. As I continue I will soon be heading through the small Town of Grass Patch. (Wonder if the Douglases are home? Oh yeah that was Green Acres.) The population of Grass Patch on December 1, 1945 was 44. (The Australian Women’s Weekly, December 1, 1945, Page 20.) In 2011 the town had grown to 492. I am now 328 miles from my next destination and goal point. I think I now understand why I never became a politician. I never learned to back-pedal on any of my bicycles. Period. But I still think about the electorate who are Convinced, with a capital “C”, that their representative is truly looking out for his/her constituents’ best interests. Today I complete the pressure washing of the boardwalk. Jim’s Trek has now racked up 41,924 pageviews. Today I cycled 21.7 miles on my Schwinn 170 and I completed 170 sit-ups. My blood sugar remained flat at 103 and it looks like for the next few days there will be a focus on diet. 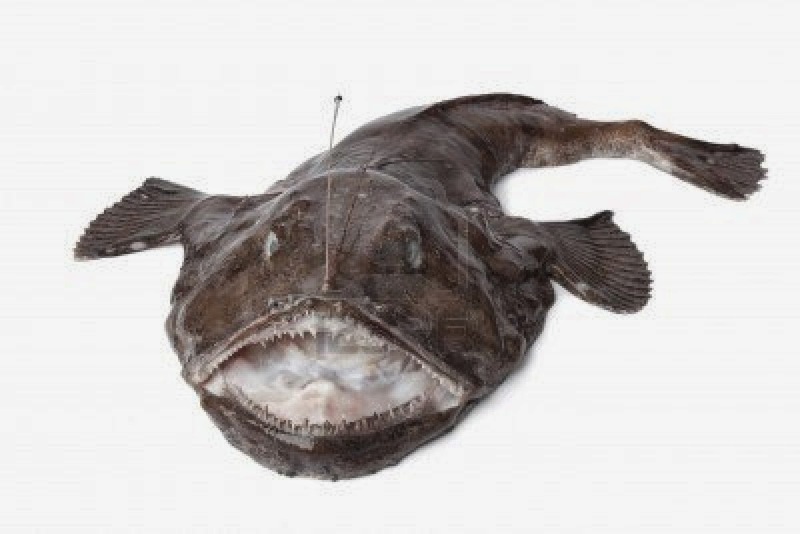 Oh yeah, the monkfish is called “the poor man’s lobster”. 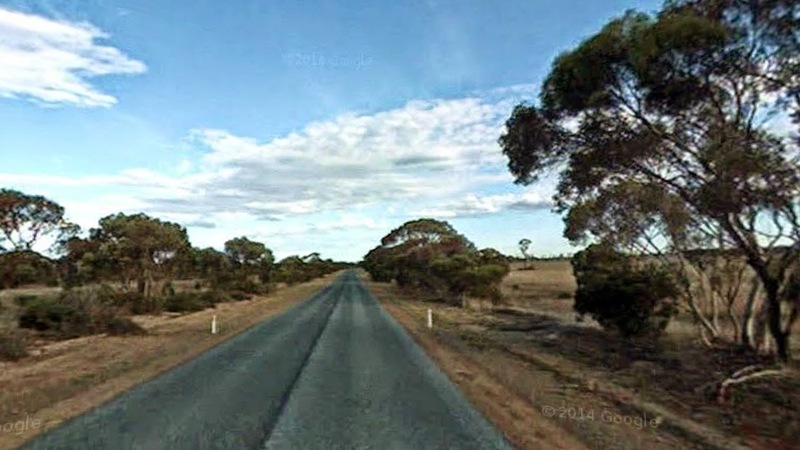 Road images of my virtual Trek through this part of Western Australia certainly haven’t changed. (And no I am not using the same Google map picture over and over and over again.) I am headed south on the National Route 1. Just beyond the actual road and from the satellite image there appears to be agriculturally developed land…but it also appears to be dry. 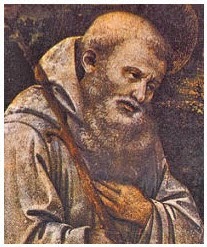 Today’s Saint of the day is Saint Romuald… and the Saint of the day’s recipe care of Giada De Laurentiis for June 19th is Tuscan White Bean and Garlic Soup. Simple soup for lunch and actually not bad. 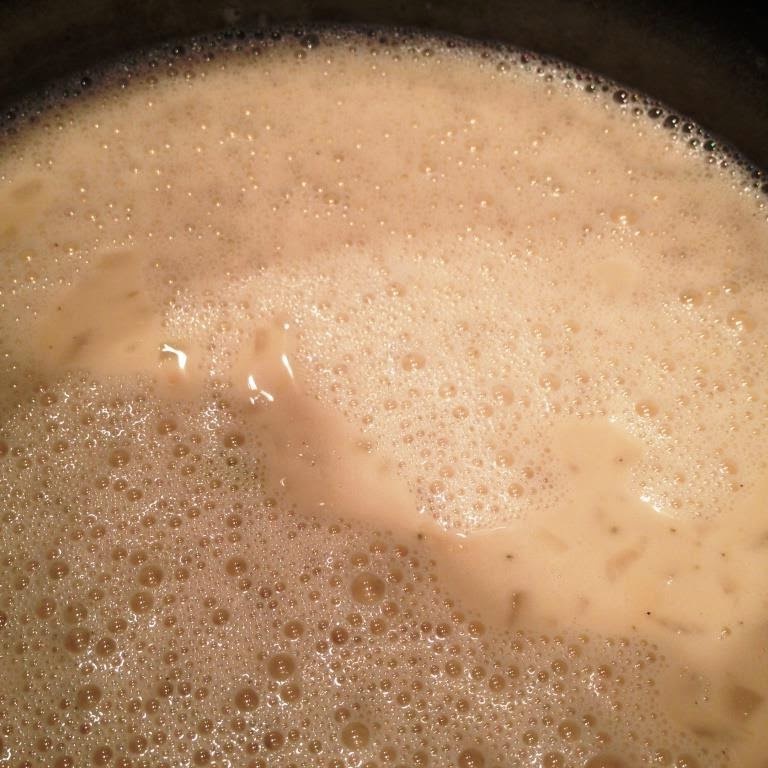 White beans, onions, garlic, sage, chicken broth, olive oil, butter, pepper, and some heavy cream. Definitely filling and I almost felt that I was living, or tending to, a monastic-type of life. 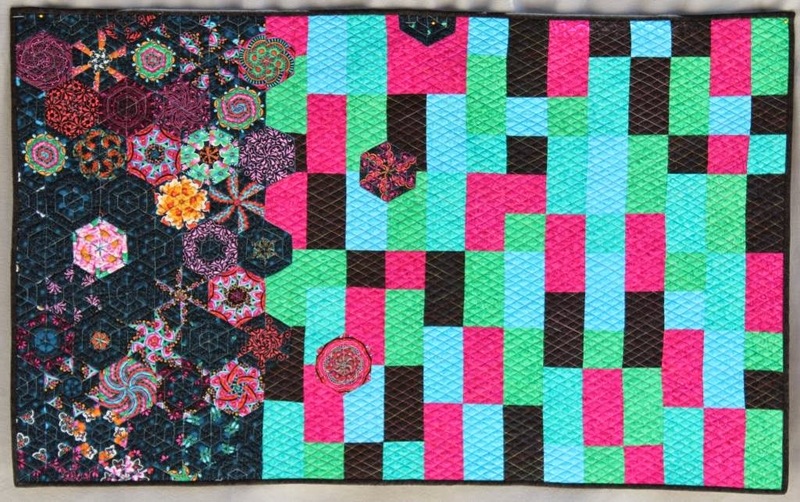 Another new quilt has been added to our project list. Right now it is known as Le Ruban. The design is a combination of our work and the inspiration of a graphic work by Tilman Zitzmann. Well this morning I pedaled a tad longer and clocked 22.0 miles on my Schwinn 170. I have now pedaled 10,940.7 miles; 17,607.4 kilometers. This morning I am now headed south along the Coolgardie-Esperance Highway in Western Australia. This is my 564th post. 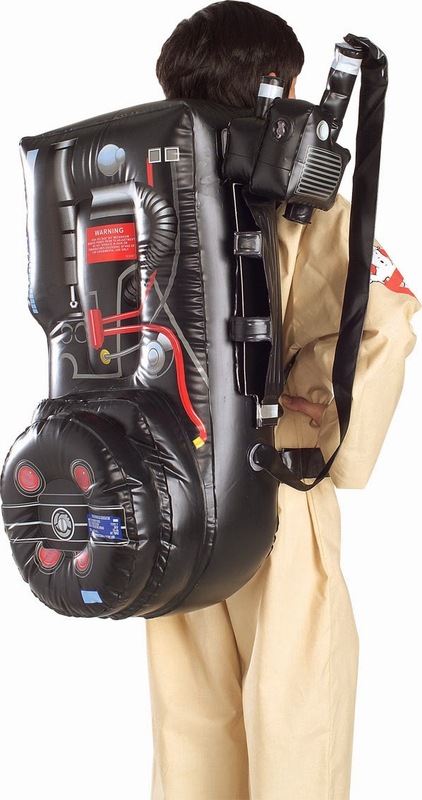 And according to Blogger Jim’s Trek has recorded 41,742 Pageviews. 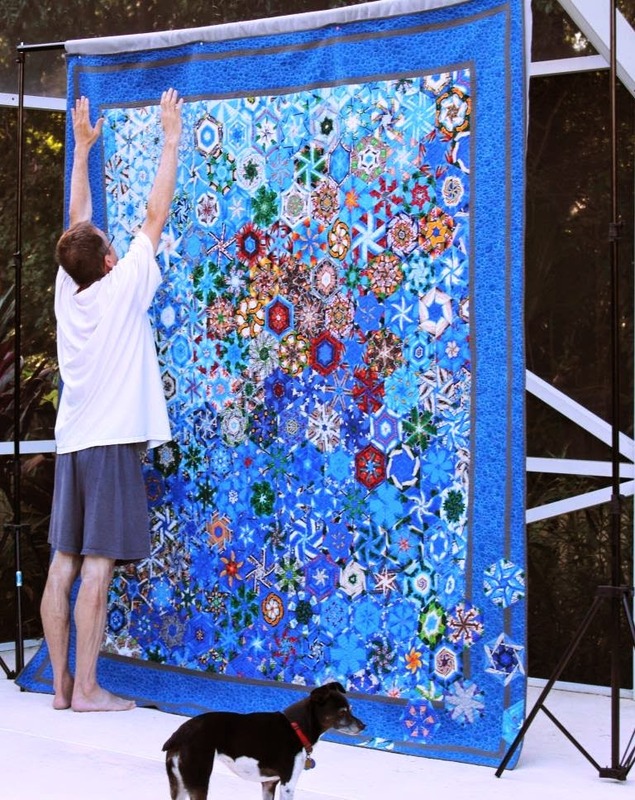 We have 99.99% finished our new quilt Tampa Kaleidoscope. Yet to attach our label anda sleeve. Check Quilts SB for an update. And yes that is me standing in front of TK just to show you the size of this monster quilt. Bella appears completely bored... And the legs are courtesy of my Schwinn 150 and 170. And it is afternoon on my 538th day of cycling on my Schwinn 170. Today I pedaled 21.0 miles. My schedule was thrown off a wee bit due to an early morning appointment. And I am now just about four days from turning 11,000 miles on my Schwinn odometer. This afternoon I turned left onto the Coolgardie-Esperance Highway. Per Wikipedia this highway “passes through arid mining country, mainly dotted with patches of gum trees, scrub and salt lakes.” Does not sound much different from what I’ve seen on the last couple of weeks of my Trek through Western and South Australia. I am now south of the Town of Norseman which is nice to know that it is the first major town in Western Australia since the South Australian border…about 450 miles from the east. Oh and the population is about 860. Neighborly sort of town? 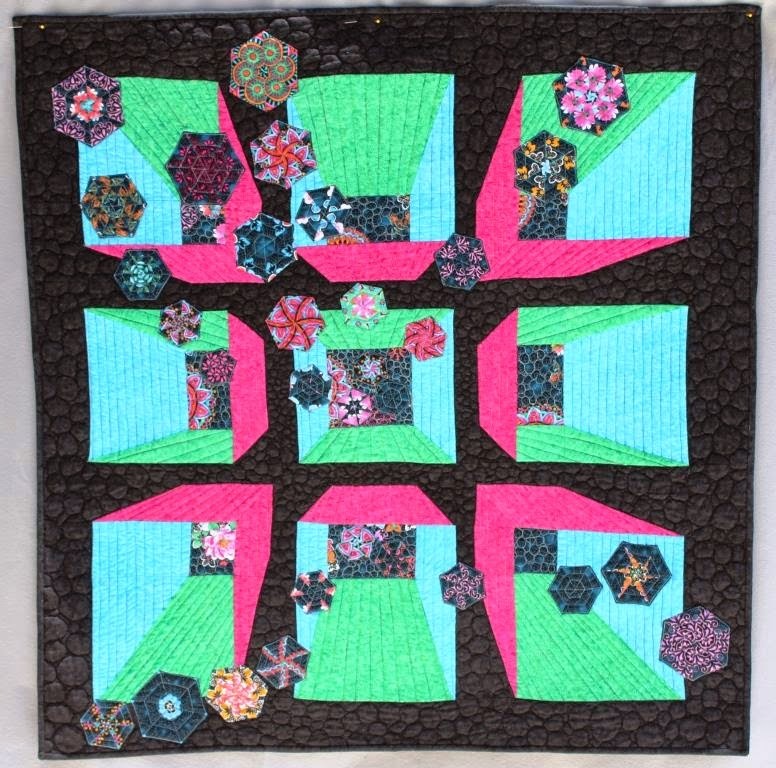 I posted our 3rd of three of our new series of quilts and wall hangings. This one is Diamonds. 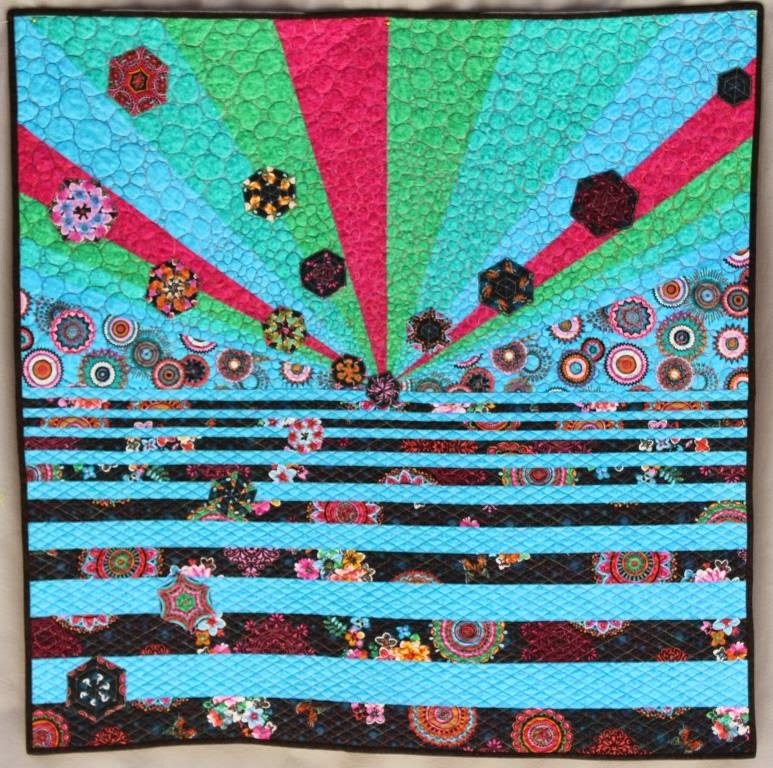 Check out the updates and write-ups at Quilts SB. 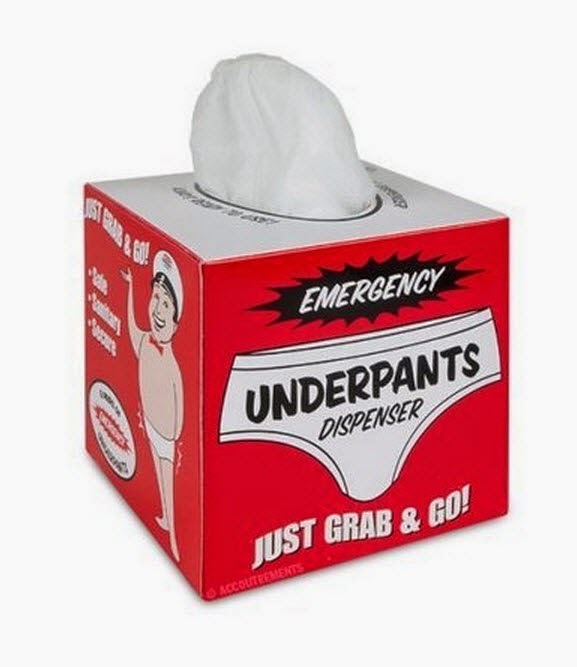 For Florida, not so bad an idea from Amazon from Accoutrements. Only $7.61. Jim’s Trek has now racked up 41,659 pageviews on Blogger. This Monday morning I cycled another 21.4 miles on my Schwinn 170. I am now cycling then doing 170 sit-ups…all while watching White Collar. I am now up to a grand total of 10,897.7 miles; 17,538.2 kilometers. Earlier on I wrote my morning pages and just dumped what-ever thoughts I had on a blank file. I only have 4 more weeks of Julia Cameron’s third and final book, Finding Water of her The Artist Way series. If anyone has any suggestion as a follow-up book or manual to Cameron’s triad I welcome your thoughts. 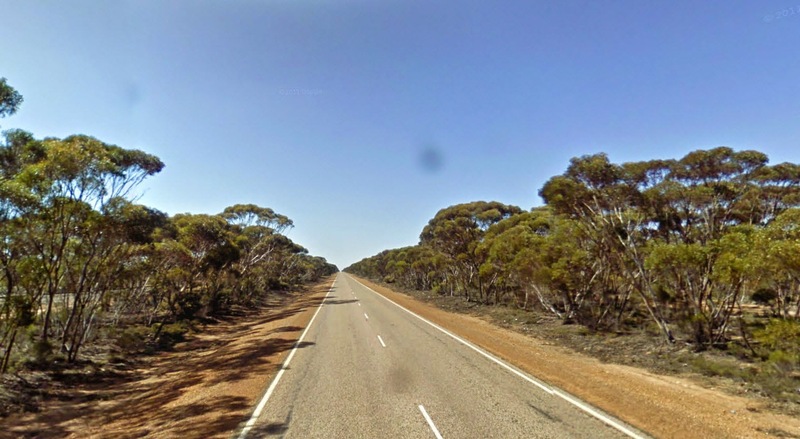 And yes my virtual Trek still has me located on the Eyre Highway in Western Australia. Scenery appears to be the same. Weather, the same. The road the same. I feel sort of bored to tears with the sameness. I soon will be veering to the south and I should be getting to the town of Norseman. Hopefully my may see something different along my route. I am just about 13 miles to the northwest of Norseman. I have added two of three of our new quilts and wall hangings to Quilts SB: Light Bringer and Sea and Sky. Check them out. Also I will be posting the details to the third of the series, Diamonds.